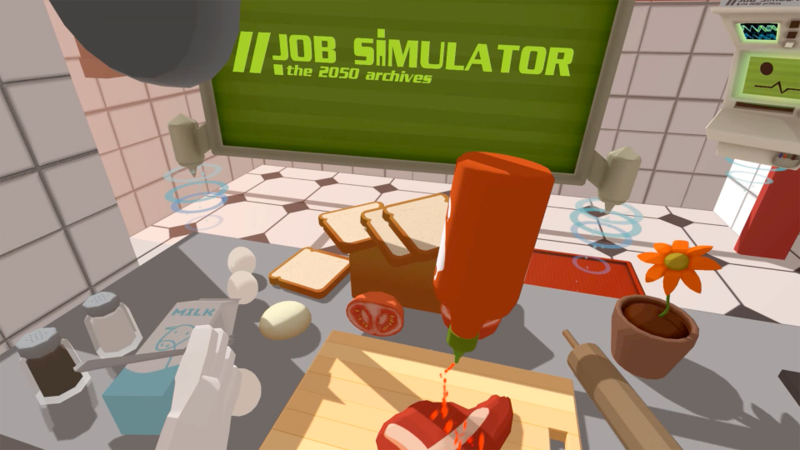 Job Simulator is a made-for-VR game coming to the HTC Vive, Oculus Touch, and Playstation VR as a launch title. 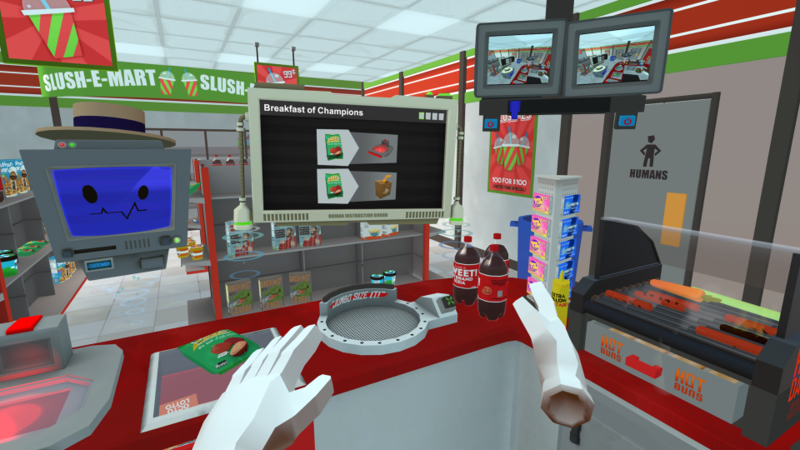 I’ve been working on the game since its inception as a Vive project, doing everything from writing code and editor tools to making bits of 3D art and writing dialog. 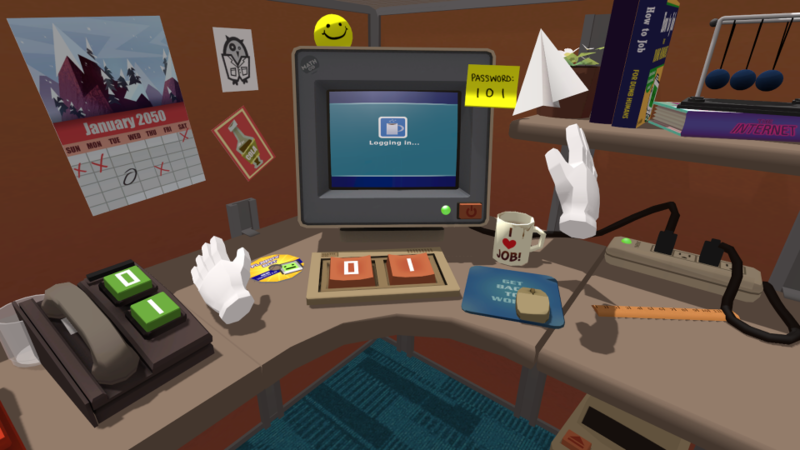 It’s been a blast working on this project with all the talented folks at Owlchemy Labs, and I’m excited to show the world what we’ve come up with for our first room-scale VR title.